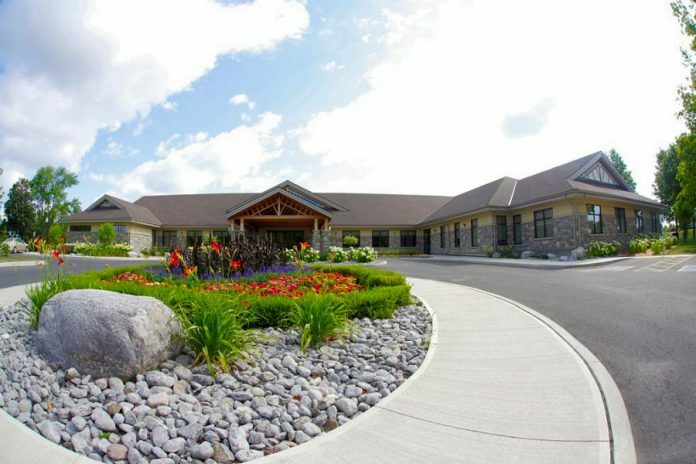 When you arrive at the Highland Park Funeral Centre in Peterborough, there is an immediate sense that everything has been considered and that every detail matters. The grounds are manicured, the gardens are perfect. The entrance is well marked, and music is playing outside the accessible building, softly. The interior of Highland Park is decorated beautifully; natural light floods in through the windows and the staff are warm and eager to assist. This place just feels different and that’s intentional. 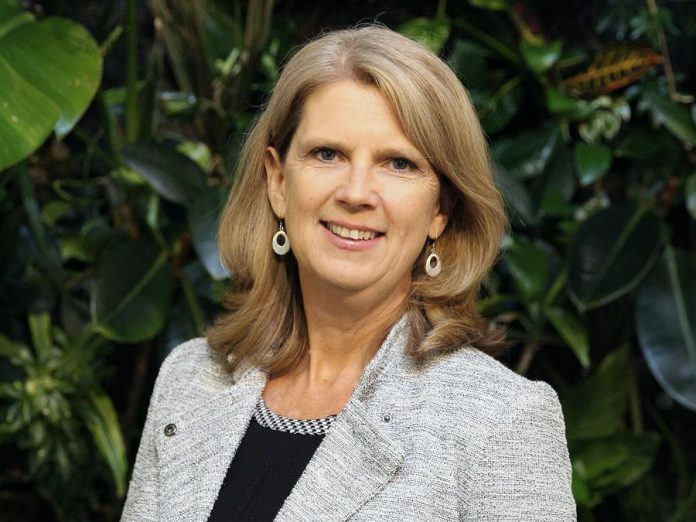 Mary McGee is the Chief Executive Officer of the Little Lake Cemetery Co., which operates both the Highland Park Funeral Centre and Cemetery and the Little Lake Cemetery in Peterborough and the Lakeland Funeral and Cremation Centre in Lindsay. 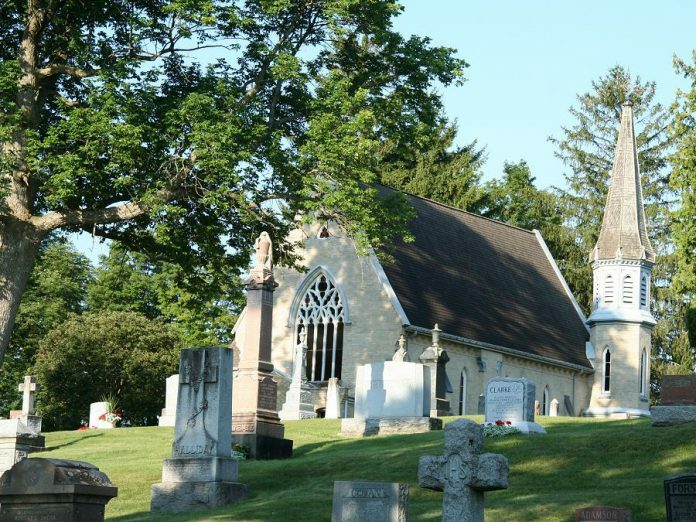 For over 160 years, the Little Lake Cemetery Company has been a not-for-profit and non-denominational cemetery. Mary and her team are proud to be a locally owned, not-for-profit, non-commissioned funeral home offering funeral and cemetery pre-planning, funeral and memorial services, cremation services, and a wide variety of burial and cremation options. The long list of services aside, Mary says that when people come in with heavy hearts, her team has one job to do. They work to lighten the load. This trust and responsibility are the weight that every team member carries. This shift to “forever” thinking was a big deal for Mary when she joined the company as CEO six years ago and she has enjoyed the experience immensely. As CEO, Mary makes decisions that will keep the company thriving for the long-term while staying on top of the changing expectations and needs of clients in the short term — because needs are changing. From multicultural considerations to an increased need for unique and specialized services, the whole way we celebrate lives lived is going through a big shift. At Highland Park, they are honoured to coordinate a traditional mass but they’ve also been asked to plan a pig roast, with a live band and full bar service. And no matter what is requested, Mary and her team are ready to work with clients to achieve the best possible commemoration of their loved one. After memorials are done, there are still decisions that need to be made. Highland Park has recently added mausoleums and scattering gardens and Mary’s team also helps people years later. “With cremation not everyone uses a cemetery for burial, so we’re often working with families to help find a place for the urn and sometimes, after a while, that need changes,” Mary explains. Working in this environment has shifted Mary to forever thinking in the business sense but also, it has caused a shift in how she thinks about her own life and how she lives, mostly by placing a greater value on her personal relationships. Mary and her team are well supported with workshops provided by Hospice, mental health awareness training and there is always a focus on managing stress, so everyone can be at their best while supporting local families who are might be at their worst. Feeling better is done through offering service, options and providing answers to questions that families might not even know they have to ask. Through the aftercare process, families are gently guided through the paperwork required by the government, discussions about identity theft and fraud, timelines and the need for legal assistance. The years of experience that live within the company make the days, weeks and months following the loss of a loved one so much easier for those who are dealing with grief. And that experience is inevitably why Mary encourages people to always choose to commemorate a loved one in some way — even if their loved one did not want any kind of memorial. Highland Park Funeral Centre is located at 2510 Bensfort Road in Peterborough. For more information, call 705-745-6984 (1-800-672-9652 toll free), email info@highlandparkfuneralcentre.com, or visit www.highlandparkfuneralcentre.com. You can also find Highland Park Funeral Centre on Facebook.